Khaidi No 150 box office collection day 5: Khaidi No 150 is a terrific comeback for Chiranjeevi. In the opening weekend, the film has crossed Rs 100 crore mark. Megastar Chiranjeevi’s has made a resounding comeback on the big screen with Khaidi No 150, which has struck gold at the box office. The collection record of the film is touted as second only to the box office collection of Baahubali: The Beginning. The film which released on January 11, in its very opening weekend at the ticket windows worldwide, has managed to make a whopping collection of Rs 106 crore. Directed by V.V. Vinayak, the film also stars Kajal Aggarwal and Tarun Arora. Khaidi No 150 is a Telugu remake of Tamil blockbuster and Vijay-starrer Kaththi, which released in 2015. The film also emerged as a clear winner in the Sankranti race among other major releases like Balakrishna’s Gautamiputra Satakarni and Vijay’s Bairavaa. 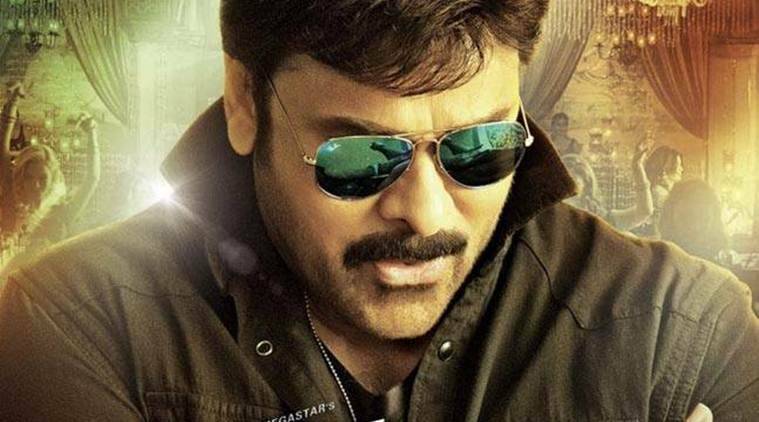 The film features Chiranjeevi in a double role, and has music by Devi Sri Prasad. In Khaidi No 150, Kaththi Sreenu (Chiru 1) is a small-time thief who helps police catch an escaped prisoner even as he plans his own escape. He runs away from the prison, only to get caught up in a crime scene involving his doppelganger Shiv Shankar Varaprasad aka Shankar (Yes that’s Chiru 2 and yes that’s his actual name in life). Chiru 1 switches identity with Chiru 2 and a quick flashback forces him to assume the latter’s character to fight corruption.